Half-hour radio show on Social Media and Digital Marketing broadcasted on iHeart Radio. Brainstorm new and creative growth strategies to promote the Radio station. Collaborate with team to create landing pages and optimize user experience on the Saving Thousands website. Contribute 1-2 articles per day for the website. Provide small business freelance services in Social Media Marketing, Internet Marketing, Content Marketing, Local Listings, SEO, Public Relations, Creative Web Design, Graphic Design & Online Reputation Management. Post monthly SEO-friendly blog articles to my website to provide FREE digital marketing & public relations tips. Update daily content. Qualified and generated leads through qualitative and quantitative research, responded to inquiries, coordinated and maintained prospect follow-up process. Hosted a “Social Media for Business” seminar for all 20 NTS properties. Created a corporate policy booklet “NTS Social Media Best Practices” for all properties. Was flown out to corporate office in Kentucky to meet with corporate team and set up all properties on social media. 2012: On-Air personality for UF’s Radio Reading Service for the blind, 103.7 The Gator Radio Control board Intern, Reporter-Intern for GTN news channel 6, Anchor/Producer of UF’s “News in 90” segment. 2014 Salvation Army Orlando Angel Tree, 2013: Sanford/Lake Mary Food for Families Volunteer 2011: Upward Cheerleading Basketball Coach. 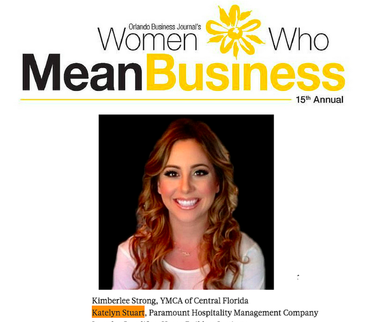 ​ Nominated as “Women to Watch 2015” in Orlando Biz Journals. Contributing blogger to two major hospitality marketing websites.